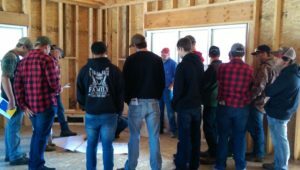 Each year the La Crosse Area Builders Assocation invites area schools with construction and tech ed programs to tour homes in various stages of the building process. This usually takes place in October so the students are in school and contractors are still busy and have homes to tour. In recent years we have seen the number of students and schools attending grow. In 2016 over 130 students toured 6 homes. 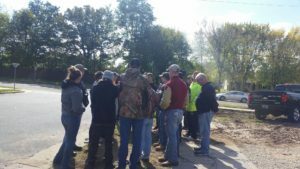 Students learn and see examples of framing, running wire, drywall, finishing, doors, windows and also learn about the process of getting materials for projects. Touring a local lumber yard is also on the tour. I think you can tweak this text alot.